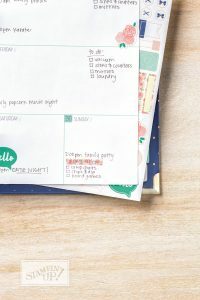 Spend an evening putting together the BRAND NEW Love Today Planner Kit from Stampin’ Up! and making some additional dividers and pockets too! 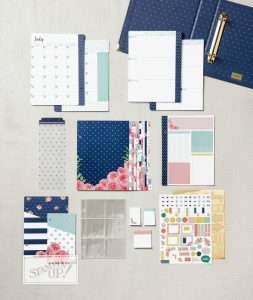 * This all-inclusive kit has everything you need to create a customisable yearly planner. 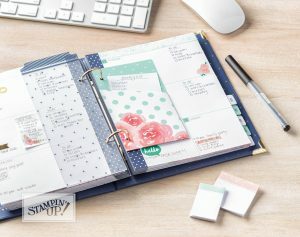 No dates are printed, so you can start when you want. 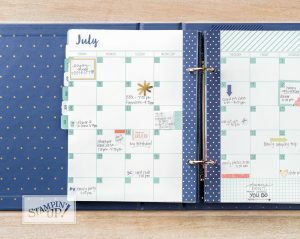 Kit includes: Printed Night of Navy/gold foil 2-ring binder with gold metal corner accents., 12 divider pages, calendar pages, 2 pockets, 4 photo protector pages (hold 6 photos each), page lifter, 3 printed and 3 gold foil accent sticker sheets, sticky notes.